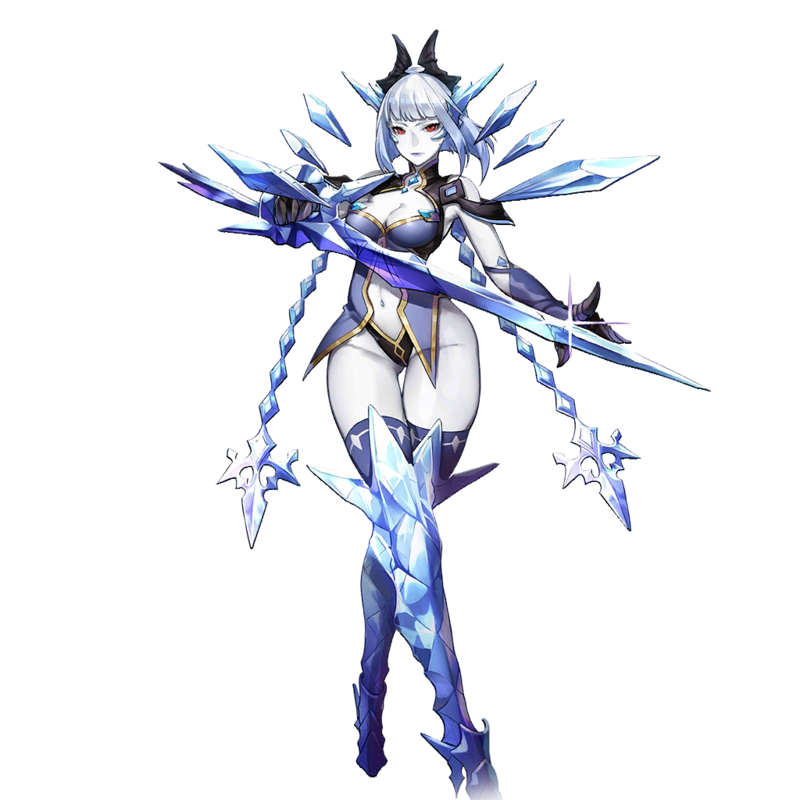 Ice Jotun who never smiles. If her cold and calculating nature doesn't kill her enemies, the eye-rolling puns she spews will. 40% of average of ATK and MATK as Water damage to all enemies 5 times. All allied heroes' DEF and MDEF up 10% for 5 turns. 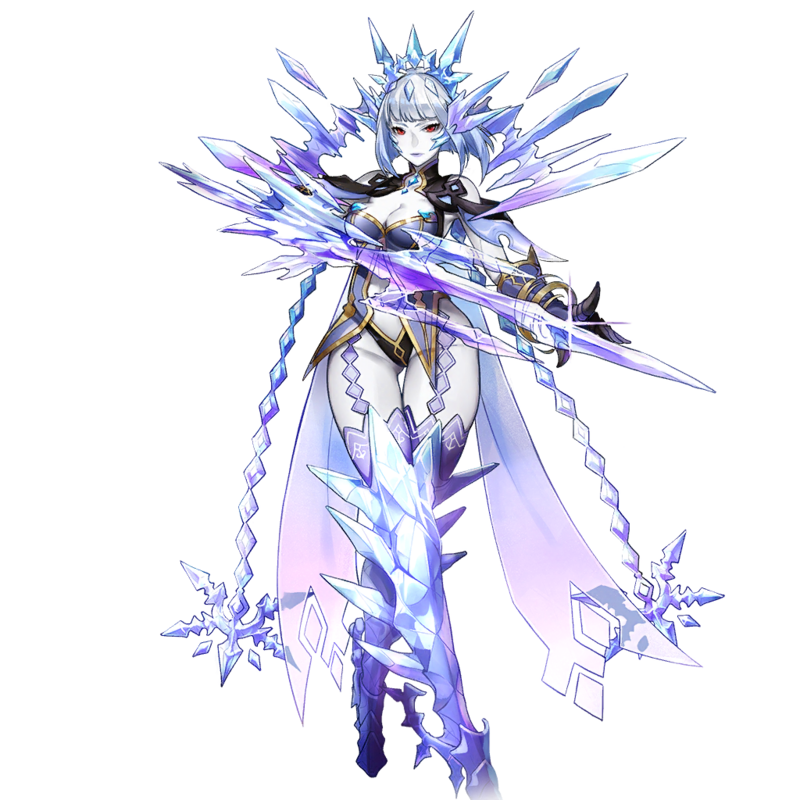 170% Water ATK damage & Freeze, Fear for 1 turn to nearest enemy.